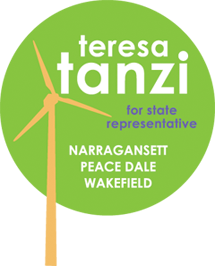 Teresa Tanzi: Two Wheels Took Off! My final fundraiser for the quarter just finished and I want to thank all those who rode with us, all those who came on four wheels, and a give a special thanks to Eloise for taking the prize with her 8 wheels!! We had quite a parade of cyclists meandering down the bike path to Sweetcakes in Peace Dale Village and everyone had a great time. Especially since the sun FINALLY came out!